Okay you serious chocolate lovers – this one is for you. 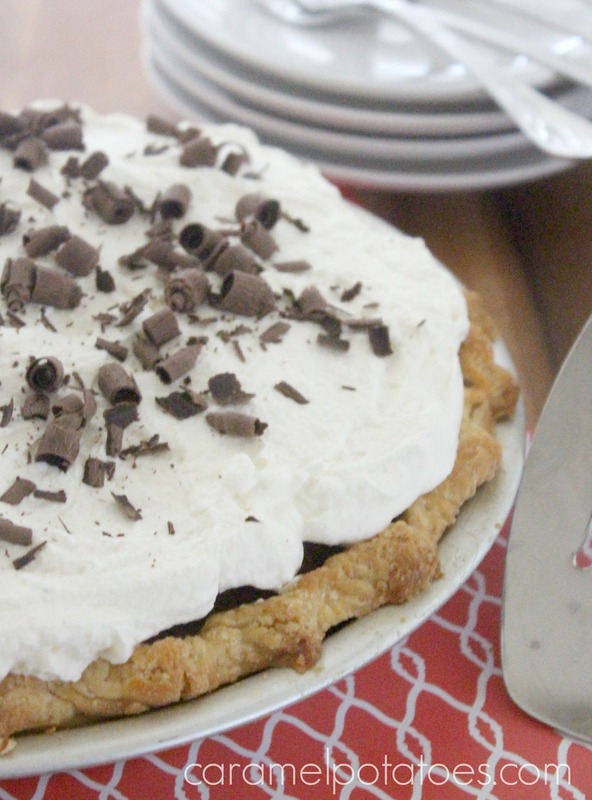 This Triple Chocolate Cream Pie will satisfy any chocolate craving. Mmmm . 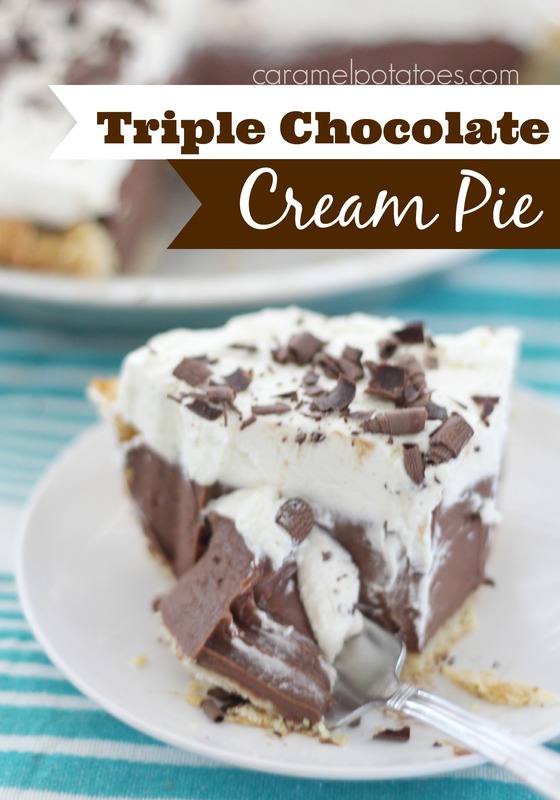 . . an old fashion cream pie is so rich and incredible – it will take you back to your grandma’s Sunday dinners. It’s also perfect for impressing your friends and family! 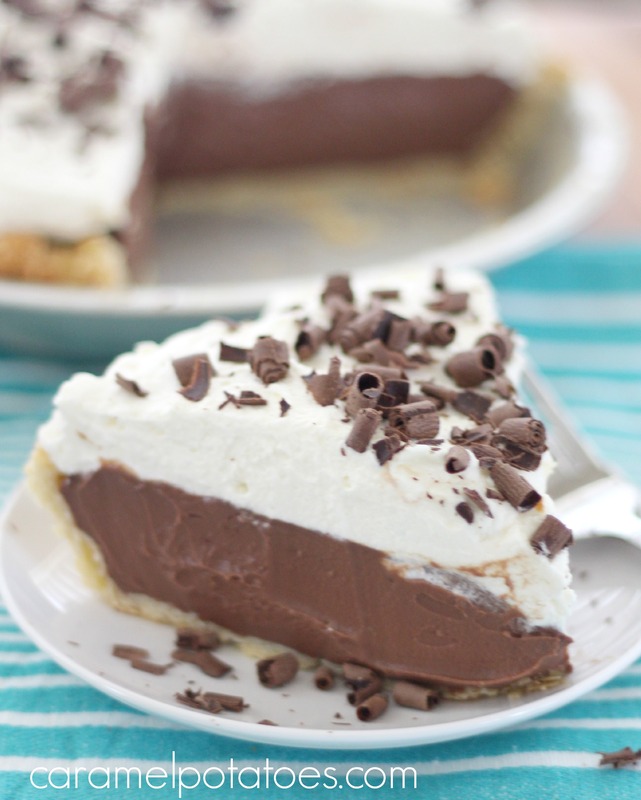 I’m thinking this weekend deserves this pie! In a microwaves safe bowl, heat the three chocolatess and butter until just melted. Reserve. In a heavy sauce pan whisk together the sugar, corn starch, salt, and egg yolks until combined. Gradually add the milk, whisking the entire time. Bring the mixture to a boil over medium heat (7-10 minutes), stirring constantly. Allow the mixture to boil for 1-2 minutes, or until thick like pudding. Remove from heat and stir in the melted chocolate and vanilla. Cover surface and cool. Once the chocolate filling is about room temperature, pour into prepared crust and chill at least 6 hours or overnight. When ready to serve, whip the cream with the powdered sugar and spread over pie. Follow caramel’s board PIE – OH MY! on Pinterest.